Whenever we have visitors staying with us, we always take them for a scenic drive along the back road from Torrox pueblo to the beautiful white village of Frigiliana. 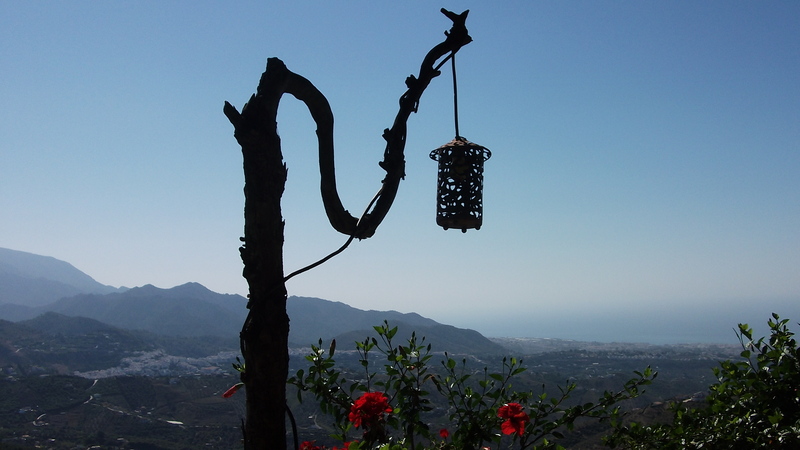 The views across to Frigiliana and Nerja are stunning! This photograph was taken from the terrace of Los Caracoles Restaurant and Hotel. Towards the bottom left you can see the white village (pueblo blanco) of Frigiliana and, over to the right, the nearby town of Nerja, with the Mediterranean Sea in the background. This view never fails to take my breath away …. no matter how many times I see it! Other photographs I love …. and why! Tracks to country houses: How accessible are they?